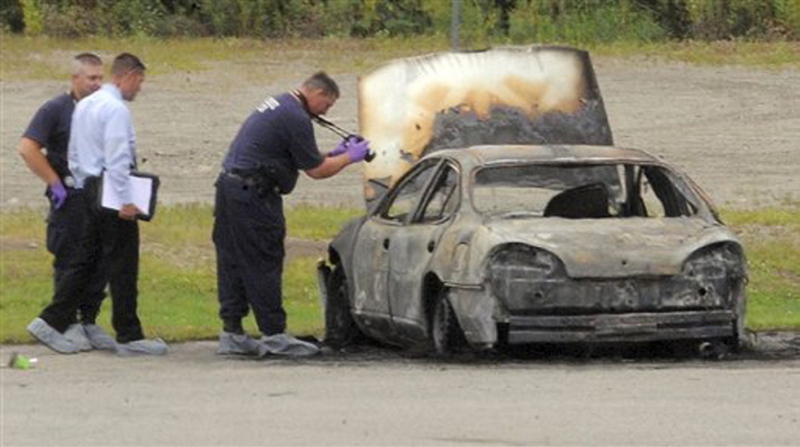 The car, with Rhode Island license plates, was found ablaze in August 2012 in a parking lot with three bodies inside. The trial of two men accused of killing three Maine residents whose bodies were found in a burning car opens Monday in Bangor. Randall Daluz, 36, and Nicholas Sexton, 33, have been charged in Penobscot County with three counts of murder and one count of starting a fire with the intent to destroy property, a felony. If convicted, they face a maximum sentence of life without parole. The car, with Rhode Island license plates, was found ablaze Aug. 13, 2012, in a parking lot of a business on Target Industrial Circle. Authorities have said the victims were shot before the car was torched amid a drug dispute. 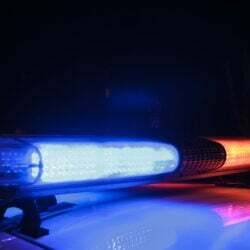 The victims were identified as Daniel Thomas Borders, 26, of Hermon; Nicolle Ashley Lugdon, 24, of Eddington; and Lucas Alan Tuscano, 28, of Bradford. Prosecutors and defense attorneys said the trial could take as long as three weeks and dozens of witnesses could be called. Jury selection begins Monday, and opening arguments could start as early as Tuesday. Sexton, of Warwick, R.I., and Daluz, of Brockton, Mass., were arrested in October 2012 in Massachusetts. Court documents have indicated Daluz blamed the killings on Sexton. Sexton’s attorney, David Bate, said his team is prepared for a long, drawn-out trial that could include gruesome details. Hunter Tzovarras, Daluz’s attorney, said only that he expected the trial to last two to three weeks. A judge ruled this month that the pair would be tried together. Their attorneys had asked for separate trials, with a contention that evidence against one man could unfairly prejudice the jury against the other.